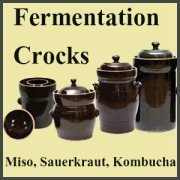 These "cultured foods", like sauerkraut and coconut kefir, contain communities of friendly microscopic bacteria that are extremely beneficial to the health of the colon and the entire digestive tract. Others, including tempeh, vegan seed cheese and miso, provide necessary components that help to predigest whole foods, like beans and seeds, breaking them down into usable nutrients and amino acids. 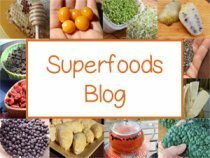 Whether you are consuming a high raw diet or a fast food diet, it can be very beneficial to a health promoting lifestyle to add in some variety of these cultured superfoods and drinks on a regular basis. 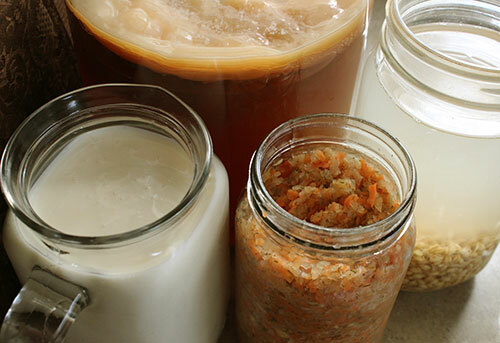 All of our top 7 fermented foods listed further below are additionally easy and fun to make at home with minimal tools or supplies. The types of ferments we are referring to are alive and unpasteurized, each containing unique groups of activated bacteria and yeasts microbes. These beneficial microorganisms, and the enzymes they produce, are destroyed by heat and pasteurization. You don't need to add artificial food preservatives to food ferments, they are already naturally preserved, some lasting for weeks, while others increase in flavor and nutritional value by slowly developing over many months or even years in some cases. Fermentation is essentially the bacterial conversion of starches and sugars into lactic acid and acetic acid. It is one of the most ancient forms of food preservation. Since early times, people worldwide have been fermenting or culturing foods as a nourishing and flavor enhancing way to preserve food when refrigeration was not possible. Food fermentation is practiced on nearly every continent with many varying techniques, using an assortment of different foods and liquids. Many of our favorite fermented foods we list below are still consumed today, adopted as main condiments, foods or beverages in the cultures where they first originated. Many health experts agree that a healthy balance of gut flora, or also called gut microbiota, in the digestive tract and specifically the intestines is extremely important for maintaining the health of the entire body, organs and systems. Because gut flora is fed through dietary intake, when you consume an assortment of different live ferments, you encourage greater microbial biodiversity in your body that can be helpful for reestablishing a stable "inner ecosystem", improving overall health and enhancing immune function. When the fungal group of microorganisms, which are naturally helpful in small amounts, take over we become more susceptible to disease and yeast infections. One of the leading causes of this type of overgrowth is the ever so common use of antibiotics (against-life) which kill the friendly bacteria and cause the fungal species, like candida, to dominate. 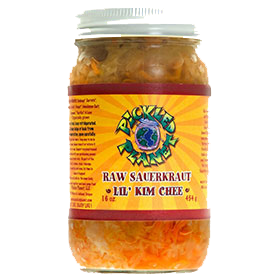 Fermented foods, including sauerkraut, kefir and others, contain billions of natural probiotic (pro-life) organisms, like Bifidobacterium or Lactobacillus strains, and can be very beneficial for counteracting the negative impacts that antibiotic (anti-life) use can have on gut flora. 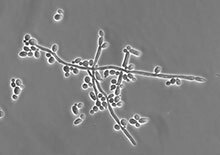 In addition, fungal yeast overgrowth can also occur from the frequent consumption of low quality foods, obesity, stress, diabetes as well as a number of prescribed medications. In extreme cases, it is additionally helpful to eat these cultured foods when supplementing with lab-produced probiotic powders, which increases their effectiveness. As the beneficial microflora grow in fermented foods, they produce enzymes that are extremely helpful for increasing "digestive fire" and improving nutrient absorption of the foods we eat. These enzymes additionally help to digest other foods that are eaten with them. For those of you who tend to eat a lot of cooked or packaged foods void of enzymes, adding them to your diet can greatly enhance nutritional uptake. 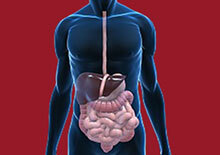 Most all disease originates in the gastrointestinal tract, specifically the colon. When there is an excess accumulation of waste material and toxins in this region, negative implications can impact the rest of the digestive system and eventually will effect vital organ, like the kidneys and liver. This may produce various symptoms like headaches, inflammation in the joints, chronic muscle pain, skin issues and other more serious health conditions. 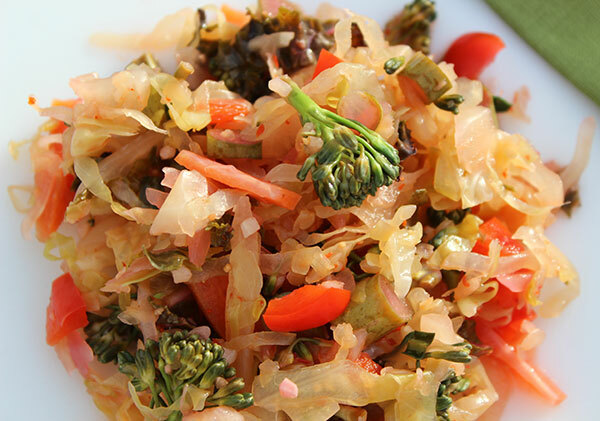 Most ferments are meant to be eaten in small portions rather than large quantities. More is not necessarily better when it comes to eating or drinking them daily as they tend to move things through the body quite rapidly and may cause adverse effects and stomach upset if over consumed. 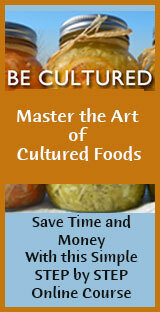 Culturing foods "predigests" them and makes their nutritional components more bioavailable to the digestive system. This is because these types of foods or drinks have already converted the natural sugars, starches and proteins, predigesting them so you don't have to use your own digestive enzyme reserves to accomplish the task. When we ferment foods, like beans used to make tempeh for instance, the proteins as a result are broken down into amino acids, that can be readily assimilated. 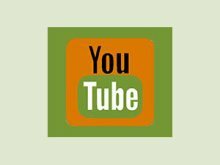 Visit our fermented food recipes page for a complete list of all our cultured recipes using easy, simple, step by step instructions for making your own fermented foods at home. 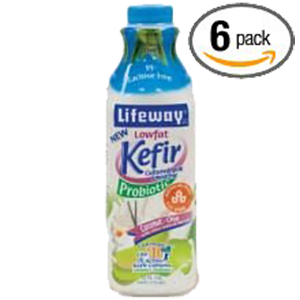 Kefir is another good example of a fermented food that predigests the lactose content in dairy, which can make it more digestible for those who are lactose-intolerant. Also, when making raw aged vegan cheeses, this process is essential for increasing flavor and making the ingredients like nuts and seeds more easily absorbed and utilized nutrition-wise. Nuts and seeds also contain a compound called phytic acid, which is known to block the bioavailability of certain minerals. Other toxins naturally present in some foods, like oxalic acid, nitrites, prussic acid, glucosides and nitrosamines are reduced or eliminated altogether with the fermentation process. 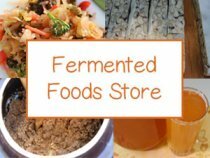 Here is our list of fermented food favorites, some of which you may wish to explore according to your own personal needs, desires and health goals. All of them can be produced "homemade-style" which is, in our opinion, the best way to consume them for the highest possible nutritional benefits as well as flavor. They are also quite fun to make and "grow" yourself and much more cost effective than buying unpasteurized commercial brands. You can enjoy these top fermented foods as zesty condiments, tangy beverages, rich flavorings and some of the most savory of foods all by themselves. Kombucha is a tangy and slightly fizzy beverage made from fermenting a sweetened tea with the kombucha "mushroom" culture, a thick gelatinous mat made up of multiple species of bacteria and yeasts. 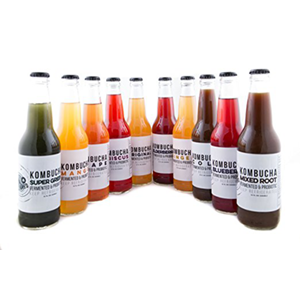 Cultured kombucha is a refreshing and energizing drink that can be a great alternative to sodas, caffeinated drinks or alcohol. It contains a number of nutritious elements including amino acids, enzymes, polyphenols, vitamin C and is known for its high levels of B vitamins. Kombucha is recognized as a helpful detoxification aid because of its glucuronic acid content. This is a compound that can effectively bind with toxins in the body and safely remove them through a process referred to as glucuronidation. Kombucha is also known for its immune boosting effects due to certain antimicrobial properties, antioxidants like epigallocatechin gallate and vitamin C, in addition to its various organic acids including lactic acid, gluconic, glucuronic and acetic acids. 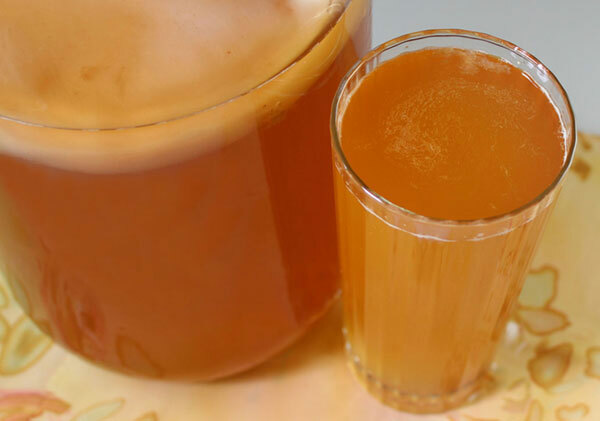 It is very easy to make a homemade kombucha with very few ingredients and a "scoby" culture. These versions are often higher in quality and nutritional components compared to uniform store bought products. Raw cultured vegetables, also referred to as "sauerkraut", is a fermented food made by culturing chopped or shredded cabbage in its own juice or brine solution. This can be achieved with or without the use of a probiotic culture starter as cabbage has naturally occurring beneficial microbes present on its leaves. Many other vegetables and spices can be added for extra flavor and variety, but cabbage is usually always a main ingredient. Over time, between 4-10 days (or much longer depending on how you like them), the vegetables become slightly pickled, zesty and incredibly tasty. The original version of sauerkraut, or types of cultured cabbage, are thought to have originated north of China as far back as 200 B.C. and were later introduced in European countries, like Germany where the word "sauerkraut" was coined. Sauerkraut is still used as a pickled condiment served all across Europe, as well as in Asian countries with the popular Korean version known as "kimchi." 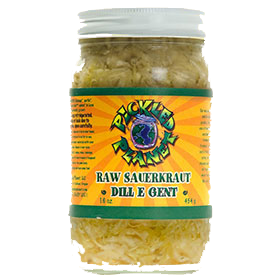 Unpasteurized raw sauerkraut is known for its diverse array of beneficial lactic acid bacteria and enzyme content, properties of which became especially popular in the U.S. in the mid 1990's with the introduction of the Body Ecology Diet. 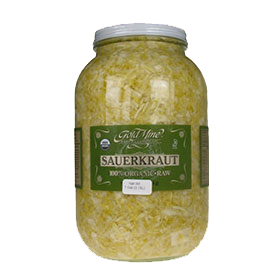 This diet largely promotes the use of naturally fermented sauerkraut as a condiment for improving digestion, inhibiting candida overgrowth and boosting immune health. Tempeh (pronounced "tem-pay") is a fermented bean cake known to have originated from the Indonesian island of Java, one of the main chain of islands located next to Bali. It is traditionally made with soybean but can also be made with a single bean variety or a mixed combination of beans and grains. The white mycelium spore cultures (Rhizopus oryzae and Rhizopus oligosporus) form the tempeh cake, which can be sliced raw, fried or steamed as an alternative to meat. It is always best to eat cooked beans as a fermented food because they are easier to digest, enabling greater absorption of the protein and amino acid content. Tempeh is a quick ferment, only taking about 24-36 hours at optimal temperature. We always recommend the fresh handmade variety rather than store bought brands that are exclusively made with soybean. 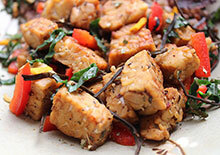 Homemade tempeh has a rich taste, like gourmet mushrooms and is really incomparable to any commercial tempeh product. 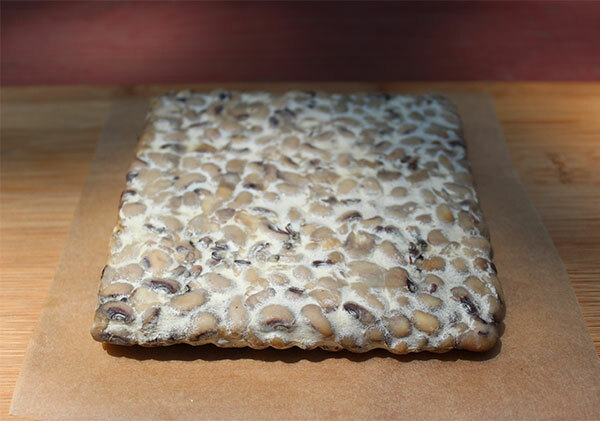 For more details on how to make your own, you can visit our homemade garbanzo bean tempeh recipe, black bean tempeh or our recipe using black-eyed peas. 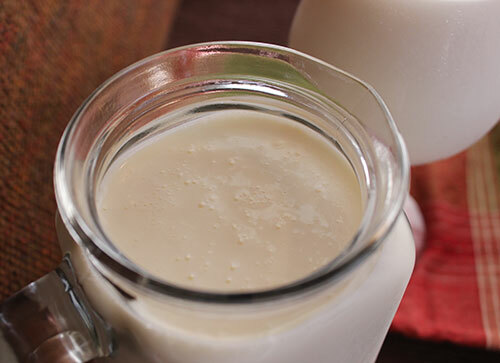 Kefir is believed to have come from somewhere in the Caucasus Mountain region, specifically Armenia, Georgia, Turkey and Iran, where it has thrived as a sacred cultured food for centuries. It is a tart yogurt-like drink that is traditionally made by fermenting dairy milk, but other vegan milk varieties can also be used such as coconut milk and nut milks. 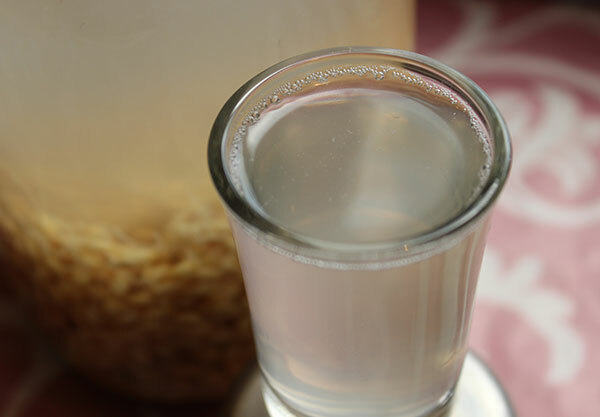 There are also versions of water kefir that are lower in calories and fat content. 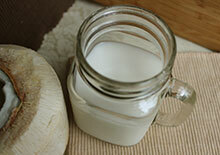 Kefir is originally made using "kefir grains" but can also be fermented these days with a powder culture starter. 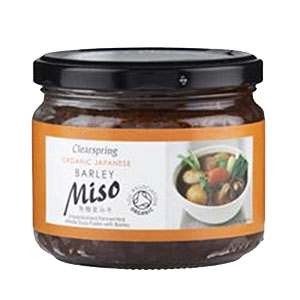 Miso is a traditional fermented food native to China and Japan, but is used in all parts of Southeast Asia especially Korea, Vietnam and Indonesia. It is a rich salty bean paste, created by fermenting mashed cooked beans and salt with a culture starter called "koji" or Aspergillus oryzae. Soybean is often the main ingredient found in Asian miso's, but it can alternatively be made with other types of legumes. Most people worldwide are familiar with "miso soup", which is the paste dissolved in hot water heated below boiling temperature to preserve its nutritional components. 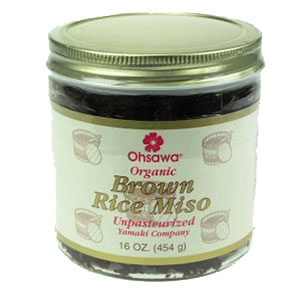 Containing a certain compound, called dipicolinic acid, miso soup consumption has been proven helpful for chelating the effects of radiation exposure and may help offer protective properties against certain types of cancers, especially breast and prostate. 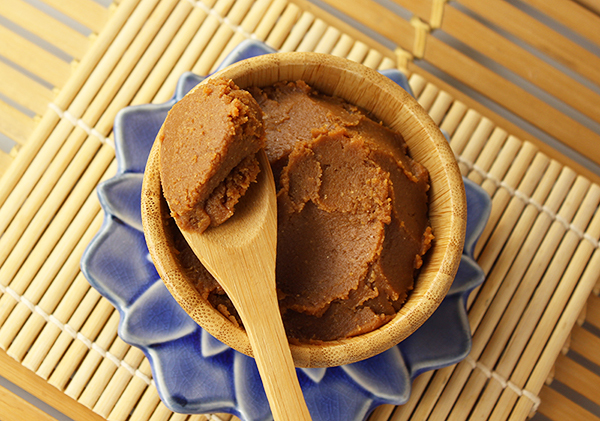 For those of you inspired to make your own cultured miso using garbanzo bean, visit our homemade miso recipe and our page on how to decant it. 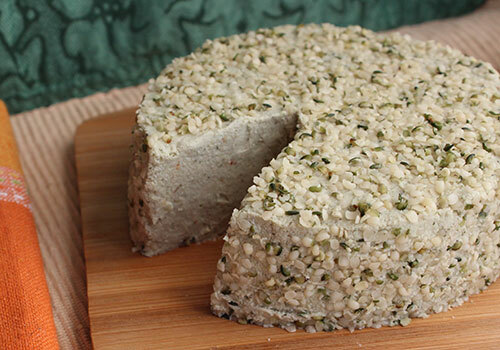 Seed cheese is a delicious tangy vegan cultured cheese commonly made from sunflower seed, pumpkin seed as well as other seeds, nuts or combinations of both. The process of fermenting seed or nut based cheeses involves soaking, straining and blending the mix with a probiotic powder to initially inoculate the ferment. Similar to making dairy milk cheese, the whey is drained out allowing the kurds or cheese to thicken to either a ricotta-type consistency or a firm sliceable cheese. This is a very good way to consume nuts or seeds as the process of fermentation, producing enzymes and beneficial microflora, helps to break down the phytates and plant proteins. This essentially predigests them, making the nutrients and especially minerals more bioavailable to the body. The original seed cheeses were invented and popularized by Dr. Ann Wigmore in the 1960's along with wheatgrass and rejuvelac. Rejuvelac is a refreshing, slightly sour and fizzy liquid ferment made from a combination of sprouted grain and pure water. The traditional grain used is wheat berry but rejuvelac can be made from most any grain including gluten-free versions like millet or quinoa. All grain selections have their own unique bouquet of flavors and some are preferred over others. The beverage first became popular in the 1960's under the influence of living food enthusiast Dr. Ann Wigmore, the original founder of the Hippocrates Health Institute. 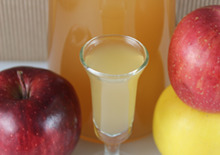 The fermented drink is believed to have Baltic origins and is closely related to the traditional Romanian drink, called Bors, a fermented wheat bran used to make a sour soup called ciorba. Rejuvelac is used as an enzyme-rich digestive aid that is best when consumed in small amounts first thing in the morning or between meals on an empty stomach. 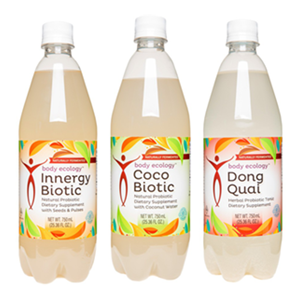 The beverage is also particularly helpful as a natural gentle laxative, which assists in relieving constipation and breaking down potential undigested waste material in the large intestine. When first introducing ferments into the diet it is normal to experience some initial gas and bloating, excessive amounts however can cause stomach upset and loose stools in some cases. 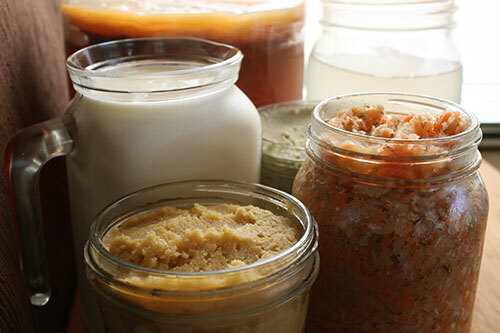 It is important to consider avoiding food ferments if you have severe allergies to molds.